Our website has changed, but ordering oil online is as easy as ever. Click below to place your heating oil order quickly and conveniently. At Gerner Energy we offer a variety of heating and cooling services, as well as payment plans, for all your home comfort needs. You can count on Gerner Energy to provide expert HVAC service and fuel delivery at the fraction of the cost of other providers. This is why we are the area’s top choice for full-service HVAC, oil delivery, and diesel delivery. 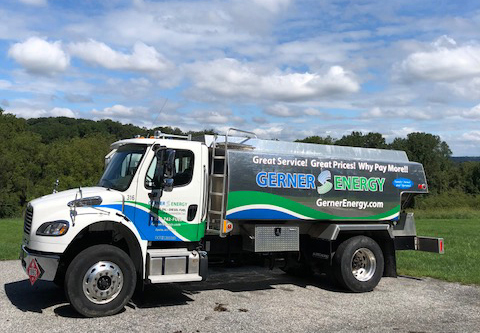 Explore our site to see why customers in the Baltimore and Southern York County, PA areas put their trust in Gerner Energy each and every time. Automatic delivery is the easiest way to check something off your to-do list – permanently! Homeowners and business owners in Maryland work hard and have busy schedules, so why not save yourself the hassle of monitoring your own tank and placing orders manually? With automatic delivery, you can forget about your oil tank and leave it to us. We’ll keep an eye on the fuel level, and automatically refill it for you when it gets down to 25%. You don’t even need to be home! And, with automatic delivery, you never need to worry about running out of fuel and having to pay for an emergency delivery or suffer through a cold night. Serving the Greater Baltimore Metro and Southern York County, PA area for over 30 years.